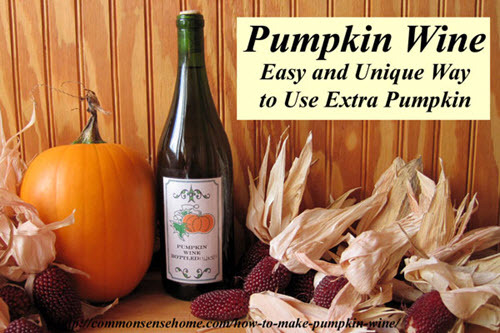 Pumpkin wine sounds like an odd combination of ideas. However, as complicated as the combination sounds, the process of making the wine is easy since it uses the same process as making any other kind of wine. The result of this particular wine making process provides a surprising and delightfully unexpected flavor. Since wine can be made from any fruit or vegetable with a fairly high sugar content, this opens up the opportunity to experiment with different fruit and vegetable options depending on the time of year and the crops available. This wonderful tutorial will walk you through the steps to create this intriguing wine and even offers a brief definition of terms that might be unfamiliar to those who are new to wine making to facilitate the whole process.